After the first evacuation (see below), not all tree houses were cleared. On the contrary, at least one was reoccupied. With the others, it is tried. The still-occupied tree houses were supplied with food by people who managed to get through the police bars. A new clearance action is in progress!. 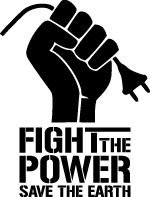 As wave of repression hits our comrades in France. 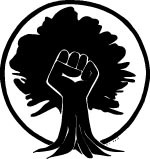 A call of Solidarity to You goes out of Hambach Forest Struggle and a reminder to all of previously announced re-occupation of the Lujuc Wood scheduled March 3rd and 4th. See you there!! Hambi 4 in Prison for a Month now! A monthly Forest Walk with Michael Sobel will take place this Sunday. Its another chance to see many of the occupied barrios, talk to and listen to some of the Hambacher Forest activists. Take advantage of coming to bring any additional supplies for the occupation that you might no longer need. What makes this walk different is that there will be more press. New York Times and National Geographic will be present. Regardless of largely positive press from national and international media it is good to remain critical of mainstream news outlets and keep convey our message without being distracted by small stuff, like how we poop in the trees. That is why if there is any banners that those coming will have access to, please bring them. Banners at Sunday walk have allways been important regardless of the presence of the media. There will be lunch, info and music. Come by yourself or bring friends and family. 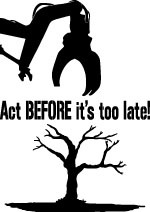 Please remember that as the forest is about to dry up and spring nears, combined with mass propaganda campaign going against Hambi, that each walk could be the last chance to see and document Hambacher Forest Occupation in its present shape. 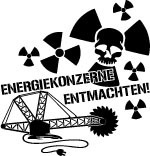 That is why the visitors and supporters are so crucial in showing that most of German public is fully behind the immediate Coal Exit and that many people do not belive disinformation about Hambi that regularly especially before police action appears in some of the local press owned and coopted by fossil fools industry and RWE. Thanks everybody even if you could visit only once in the past and do make plans to do again. 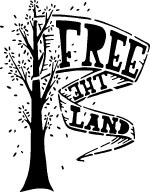 Today a support meeting for the Hambach Forest will take place in the Roundhouse at six. If there is anything you would like to help with or would just like to found out what needs to get done please do come. The rates of ecological activists, indigenous people, and wildlife rangers and protectors who have been killed in 2017 continued to increase to now 4 a week. This is about four fold increase since this statistic has been collected in 2002.